Now that we all have a little more breathing room after the holidays, it’s the perfect time to assess your online listings and make improvements. Content is king, and Google is rewarding sellers who create enhanced and informative content for their customers. Since we all want higher rankings, it’s essential to learn how best to improve our listings and appease Google’s algorithm. Join Newegg Marketplace and guest SEO expert as we co-host a webinar discussion detailing the latest SEO trends and best practices that every online seller needs to know. Are you ready for SEO success? It’s that time of the year again- Q4 is approaching, do you have a plan? Q4 is uniquely different from all other quarters, meaning there are key elements you need to maximize your effectiveness on Newegg Marketplace and capitalize on the biggest shopping season of the year. We all know that once the holiday season begins it’s already too late to start planning for success, you need to take action now! Don’t worry..we’re here to give you guidance. 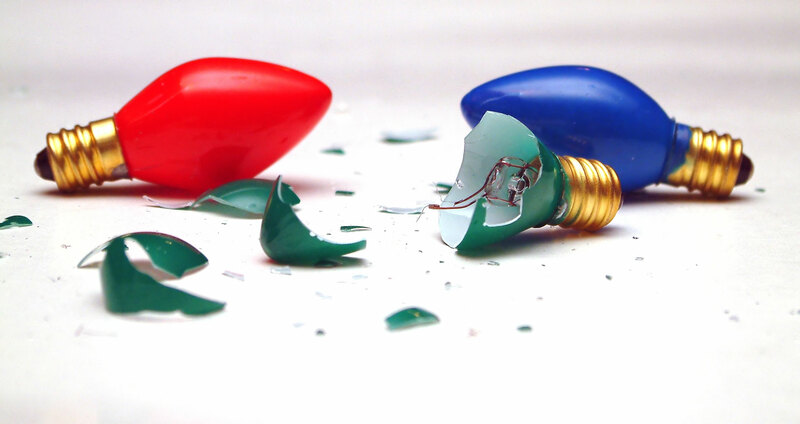 Hear from us as we lay out proven tactics for winning the holiday season on Newegg. One of the toughest parts of running an ecommerce business is inventory management. It’s also one of the most important elements. When inventory is not managed effectively, business owners can’t forecast sales accurately, potentially leading to shipment delays and dissatisfied customers. Forecasting is not the only area affected by inventory mismanagement, cash flow is impacted as well. Carrying too much stock ties up money needed elsewhere, and not having enough inventory leads to overselling. Both scenarios affect your bottom line. Implementing a robust and effective inventory management process helps accurately track stock levels, forecast future sales, and optimize purchase order processes. It reduces the likelihood of overstocking, under-stocking, and overselling – factors that influence how your business thrives. Cross-border sales are growing rapidly, which country is right for your business? According to eMarketer, worldwide retail e-commerce sales will top $4 trillion by 2020 and double digit growth will continue through the year. This is an astounding projection, but comes as no surprise. Sellers are scaling their businesses through marketplaces. Many of them who are eager to tap into sales channels overseas face many challenges from local marketing to payment solutions to fulfillment. Newegg and ChannelAdvisor will be co-hosting a webinar showing sellers how they can expand their business overseas through Newegg Global. This is an opportunity you do not want to miss out on. IRCE is one of the largest e-commerce shows in the world. With the industry evolving faster than ever, branded manufacturers, retailers, and re-sellers alike are looking for strategies and services that can help them keep pace. The four-day conference brings together industry leaders who will cover the latest best practices and industry trends through interviews, speaking sessions, and panels. Attendees can access over 600+ vendors offering solutions across nearly every category including marketing, fulfillment, payment, and retail technologies. If you will be at IRCE and want to schedule a time to meet with us, please reach out and visit our booth, #1407, while we are at Chicago! See you there! Are you an Indiegogo campaigner with a new, innovative tech product you think would be a great fit on Newegg? It’s time to learn more about how to make it happen! Newegg is a tech-leading marketplace for computing hardware, personal electronics, and more! We are on a mission to bring our customers the latest and greatest tech products, while helping entrepreneurs bring their visions to life. We have partnered with Indiegogo to offer special support and promotional opportunities to successful campaigners who are looking to take the next-step towards retail by joining the world’s leading technology marketplace. The Eggie Awards – Newegg kicks off 2017 by recognizing and thanking the partners who made 2016 a successful year. Silicon Valley’s Thomas Middleditch hosted Newegg’s 13th annual Eggie Awards, held at the Omnia Nightclub at Caesar’s Palace in Las Vegas on January 5th. 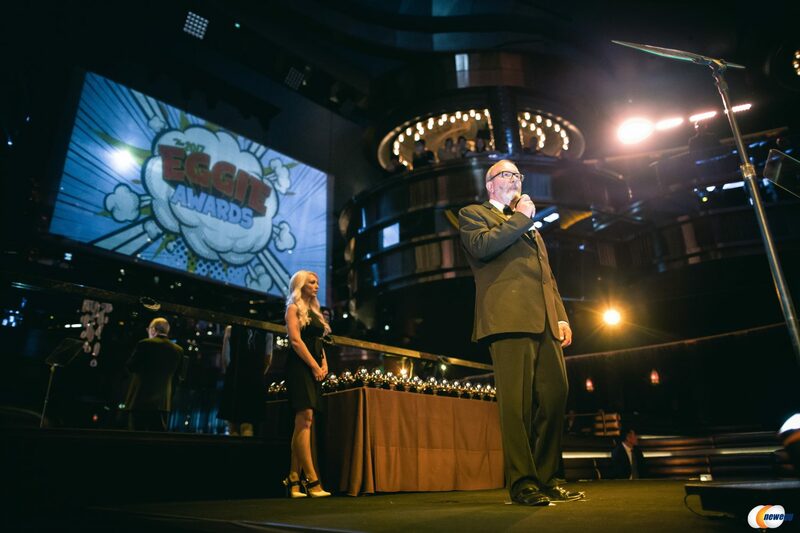 The Eggie Awards are accolades presented by Newegg, recognizing vendors, partners, sellers, and customers for their excellence and contributions to Newegg. The event brought together notable companies such as Intel, Samsung, Indiegogo, and Adorama to name a few. Throughout the evening, Middleditch entertained attendees by cracking jokes about his personal enthusiasm for PC’s and gaming during his youth, while industry leaders enjoyed themselves to cocktails and music.